Official 2010-11 Spain Presentation Suit manufactured by Adidas. Available in sizes small boys, medium boys, large boys, XL boys. 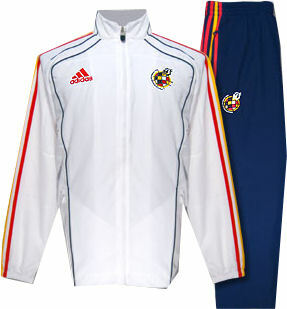 Official football tracksuit of the Spanish national soccer team.